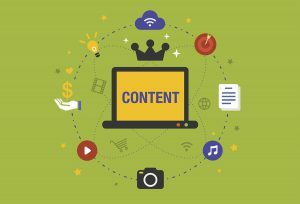 Bill Gates famously declared that “Content is King” way back in 1996, when the interwebs were still very wet behind the ears. It’s been more than 20 years and content still wears the crown. Our clients in the pharmaceutical and other scientific industries know that their expertise and innovation are valuable commodities that differentiate them from competitors and are key factors in landing customers. The problem? Innovative, expert scientists are busy DOING science, not writing about it. That’s where we come in. Over the years, we’ve developed a process that produces original content with great earned media placement potential without eating up too much of a scientist’s valuable time. 1. Make content development a company strategy, not just a marketing one. Often it’s the sales and marketing team pushing for scientists to write articles. Instead, content development should be viewed as a company-wide initiative to showcase its best intellectual products. Enlist leadership at the highest levels to endorse a content strategy and all its benefits to the organization. 2. Meet with scientists face-to-face. Schedule time to sit down with scientists individually or as a group to discuss their projects, posters and papers and mine possible topics for articles. Not only does this help everyone become familiar with each other, it gets scientists out of the lab for a spell to focus on content ideas. Always thank them for sharing their time. 3. Incentivize if possible. We always encourage leadership to offer an incentive to employees who take on content development. While gift certificates to restaurants or cash awards are nice, it’s also important to recognize the employee in company communications. Show that you appreciate their efforts and their positive impact on the organization. We recently put these tips to work for long-time client Metrics Contract Services. Karen Stinneford, our manager of public relations, worked closely with a formulation development scientist to expand her scientific conference poster presentation into an article highlighting a case study on tablet formulation challenges. It appeared in the April 2017 issue of leading industry publication Pharmaceutical Technology. Strong collaboration and cooperation between the agency and client is key to implementing a solid content strategy for your organization. To learn more about how your company can use content to meeting business goals, shoot me an email.